Article Courtesy: weather.com | By: Ron Brackett | Originally published: January 25, 2019 | Please click here for original article. The brown algae form a seaweed that usually bunches up into huge mats. These mats provide shelter, food, breeding grounds and nurseries for a variety of marine life from fish to sea turtles and birds, according to the PBS Nature Now blog. The seaweed is usually found in the Sargasso Sea in the North Atlantic. About seven years ago, however, a huge patch was discovered far to the south off the coast of Brazil. 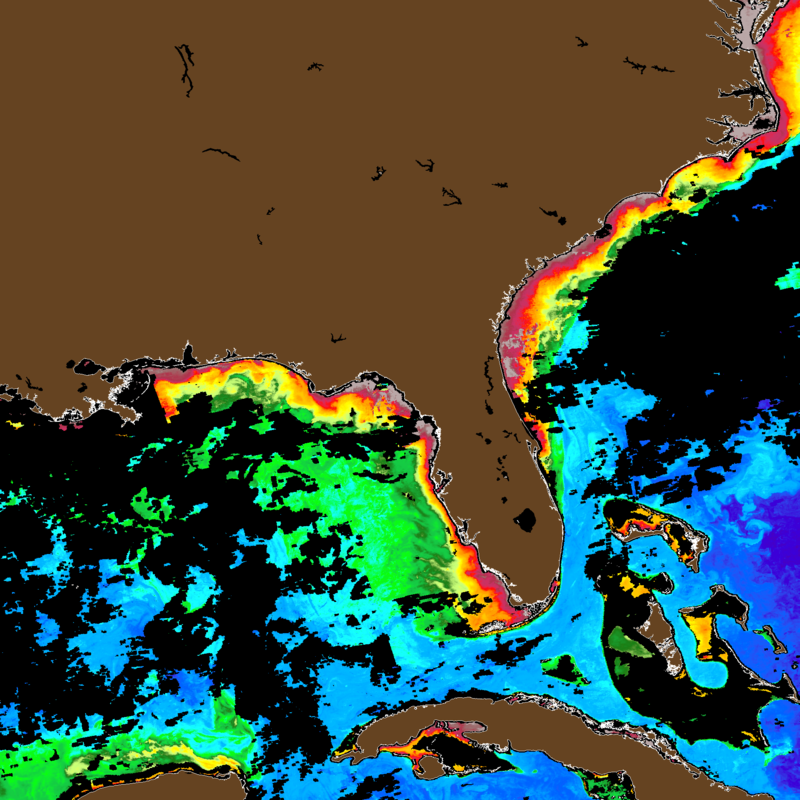 From there, the sargassum flows into the Caribbean Sea, depositing tons of seaweed on island beaches, then up into the Gulf of Mexico, where it can foul beaches in Mexico and Florida. The blooms can get then caught in the Gulf Stream and make it as far north as New England. “It’s been pretty interesting. There doesn’t seem to be any knowledge of these inundations happening historically. There’s no real record of them. So sargassum has been washing ashore periodically — 2011, then again in 2014, 2015 and now again this year (2018) — we’re getting big inundations of sargassum. That means feet high of sargassum washing ashore in the Caribbean,” Amy Siuda, an assistant professor of marine science at Eckerd College in St. Petersburg, Florida, told WMNF. Siuda said there could be a number of causes for these blooms, including more nutrients on the ocean surface, global warming, or atmospheric dust from Africa. 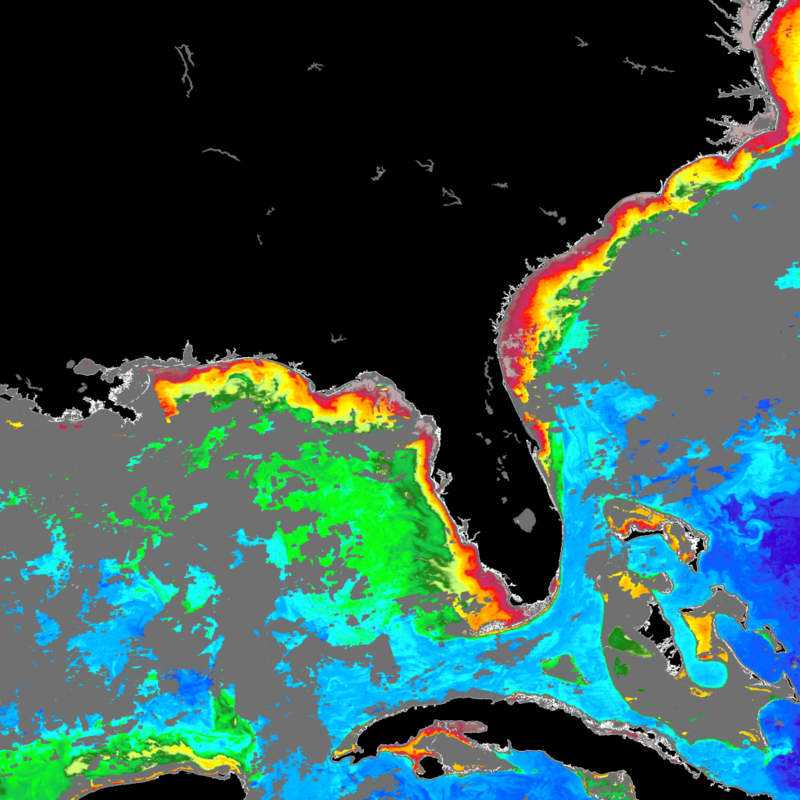 USF oceanography professor Chuanmin Hu last week released a satellite image that showed a bloom three to four miles from Palm Beach, Florida. Last summer, tons of sargassum had to be removed from popular tourist destinations in Mexico. More than 111,000 cubic yards of sargassum were collected near Cancun, according to the Yucatan Times. In Quintana Roo, more than 196,000 cubic yards were collected, and tons more remained in the water. Caribbean islands also are suffering because of the seaweed. In addition to mucking up the sandy beaches and smelling awful, sargassum is affecting fish populations. It can cover sea turtle nests and prevent hatchlings from reaching the sea. It also can block sunlight from reaching coral reefs. The government on the island of Barbados declared a national emergency last June, Science magazine reported. A resort in Antigua was forced to close temporarily after sargassum filled its bay, the Washington Post said. Officials in Trinidad and Tobago want an early-warning system that would use satellite imagery to predict how bad the blooms could get.